What happens to the rabbits we catch? Whilst the rabbits we catch are considered a pest, we strongly feel it is only right to ensure each carcase is used. This also helps keep costs down for our clients as such rabbits have a financial value. What the rabbits are used for? The most important part of the team are the animals including ferrets, dogs and birds of prey we work with but they all need feeding, the abundance of free range food (rabbit) helps keep such an important team healthy and in good condition. 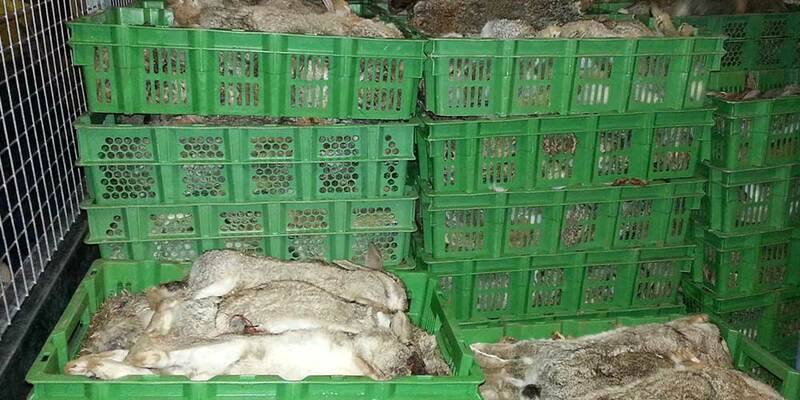 After this rabbit are sold for human consumption as a healthier option than many farm reared products available. We also sell a lot to the pet food industry, many get sold as cat, dog, bird of prey, or snake feed, and we even have one client the purchases rabbits for their pair of domesticated foxes. How this benefits our customers? We don’t charge for traveling as rabbit sales help cover vehicle expenses, this in turn means we can carry out work further afield without any additional charges.